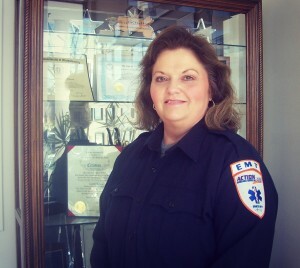 Darlene has been working as an EMT for 24 years, 12 of which have been with Action Ambulance Service. Throughout her tenure at Action, Darlene has proven to be a highly valued member of the team. She is an asset when it comes to mentoring new employees and truly cares about her job, patients, and co-workers. Darlene has earned her associate’s degree in Paralegal Studies, and just received her real estate license. In her spare time, she enjoys spending time with her grandsons.